Dr. Oksana Carlson is Assistant Dean for Global Collaborations. She joined the Johns Hopkins Carey Business School in 2009 to provide leadership for the Global MBA program. In the following years, she served in leadership roles to oversee Master of Science programs, Executive MBA, and Carey’s international initiatives. Since 2014, she has focused on Asia, with majority of her time spent in China. She oversees the strategic initiatives, collaboration with universities in Asia, expansion of Carey’s business network, and programmatic activities for prospective students. 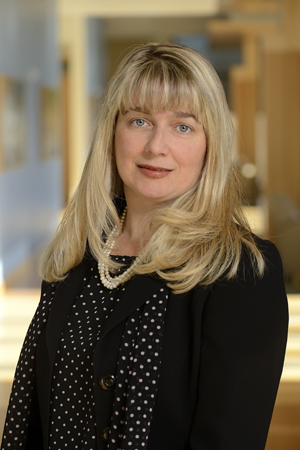 Prior to joining Carey, Oksana Carlson held management positions, focused on international program and strategy development, with both nonprofit and for-profit organizations including the George Washington University, Johns Hopkins Medicine International, Hyundai, and others. In her 15 years of experience, she developed and managed international programs in more than 18 countries. She received Doctor of Education degree (International Education) from the University of Minnesota, an MBA (International Business) from the George Washington University (Washington, DC), and BA/MA from the Far Eastern State University (Russia). She also completed leadership training programs in Italy and Japan organized by the Russian Ministry of Foreign Affairs.